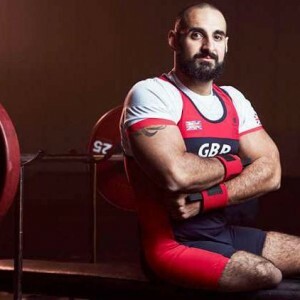 Blake Beckford interviewed Ali Jawed ahead of his Paralympic debut in Rio with only 7 days to go until the big event Ali shared with us his journey to Paralympic success and his journey with Crohns Disease. Ali is a huge inspiration to myself, and he just shows that you can still go on to achieve your dreams even with a chronic illness. Go Ali!! Tell us a little more about yourself Ali? I’m a full time athlete (Paralympic Powerlifting) currently based at Loughborough university on the British weightlifting world class programme. I have competed at 2 Paralympic Games for ParalympicsGB, and I was diagnoised with Crohn’s disease in 2009. How did you get into weight lifting? I have always been very active and my first love of sport was Judo. But during my GCSE exams, a friend wanted me to go to the gym with him. At 16, I didn’t really know what I was doing but I was spotted by the owner of the gym and he said I had potential to make the Paralympics if I continued to train. I have not looked back since! When were you diagnosed with Crohn’s and how did this effect you? After making my first Paralympic Games in Beijing, I was 24 hours from my competition day when I felt the first symptoms of something I thought I caught in the athletes village. I lost 3kg of bodyweight overnight, and didn’t preform to my best at all. I had a fever, major fatigue, and a lot of pain in my right side. However, I progressively got worse over a 9 month period losing 25kg of bodyweight until I was eventually diagnosed with Crohn’s Disease. You were diagnosed with Crohns how has that affected your training? – At first I couldn’t really train, I tried my best to get out of bed and solider on, but I would collapse in the gym in pain, I felt really weak and the fatigue was so server that I could not recover in between sessions. Luckily, now I have made a lot of changes through lifestyle and diet and I’m in remission, so I have more control. Have you had to competed or trained in mid flair? If so how did you cope? – I have competed and trained mild flare and its very difficult to even function as your body can’t really push itself. If I have a big session it makes my symptoms even worse. In that situation you have a choice to either give up or you fight through it and hope it calms down. Does Crohns effect your diet? If so how do you overcome that? Do you use any supplements i.e protein powders? I think with what we know about Crohn’s, diet is definitely a big factor for symptoms. If you don’t fuel your body with good food then you are risking a flare. 4 years ago I started working with a sport nutritionsit and he came up with a plan through tonnes of research and I have been in remission since. I do use whey protein (Bulk powders) and found that it doesn’t affect me at all. Ali you are competing this year in Rio how has the training been going? Rio will be my 3rd games and training is going very well. This week a girl (Kathleen Baker) from America won a medal at the Olympics and became the first Crohn’s sufferer in history to medal at a summer Olympics. I really hope I can take inspiration from her and do the same next month! How often do you train? – `I train between 16-20 hours in the gym each week but I make sure my recovery and nutrition away from the gym is as optimal so it’s a 24/7 job. How do you prepare mentally and physically for the Olympics? The Paralympics is the pinnacle of any athletes career and to prepare for the games is both physically and mentally draining. However, through British Weightlifting and funds from the National lottery I have a team around me that montiors and implements strategies to help me reach my potential on competition day. One of the symptoms that I suffered with was fatigue do you suffer with fatigue with your Crohns and if so how do you find training? Fatigue is a massive setback with Crohn’s and its really hard to deal with it. I make sure that I listen to my body, increase my calorie intake and my fluid to offset the fatigue and I make sure that my sleep and recovery is even stricter. What would be your top tips to getting into sport if you have I do you do IBD or Chronic illness? My top tips is don’t let Crohn’s be an excuse not to do sport. Sport is good for you, it relives stress and makes you healthier in general. I know everyone has their bad days but they are the days where you need to fight and just solider on. Don’t let Crohn’s disease beat you!